This Christmas themed race course takes place downtown Conway along a tree-lined route! The race starts and ends at Conway Riverfront Park area off 2nd Avenue. The race is a fundraising event for the American Red Cross and its Red Cross Rescue Racer program, now in it’s 10th year. 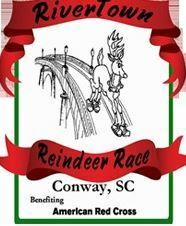 The RiverTown Reindeer Race, presented by TD Ameritrade, along with ABC News 15, iHeart Radio and HTC Digital Cable, will be held along a tree-lined route in downtown Conway, SC., beginning at 8:00 a.m. on Saturday, December 3, 2016. The 5K (3.1 mile) race is directed by Coastal Timing Race Management. 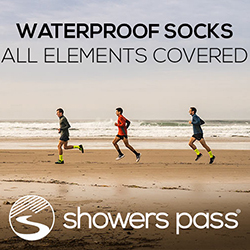 Racers, which include runners and walkers of all ages, will receive awards presented to the top three overall male and female finishers, as well as the top three finishers in each age category. Pre-registered participants will pay $25 and receive a specially designed Reindeer Race T-shirt. This year’s racers will also get keepsake American Red Cross/Reindeer Race bibs. Race Day Registration is available 7-7:50 a.m. on race day with a $30 fee. Participants are encouraged to wear holiday attire. Dogs and strollers are welcome.